This blog is devoted to the "small print" because nothing is as it seems. My mission is to dig a little deeper, past the partisan posturing, and showcase the facts behind the meme. 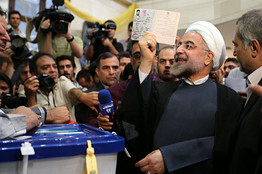 From Vetted List, Iranians Pick a President. That was the headline in the dead-tree version of the Wall Street Journal on June 15, 2013. The sub-head read "Voters in Increasingly Isolated Nation Seek Economic Boost From Slate of Candidates Approved by Clerical Council"
As I read that, I kind of snorted to myself "Yeah, they get to pick the best from the worst", but then it hit me like a two ton heavy thing, that this is virtually the same situation that we have in the United States. Yesterday, while backing out of the driveway, I noticed in the reflection from the windows in the front of my home, that I had a burned out headlamp. 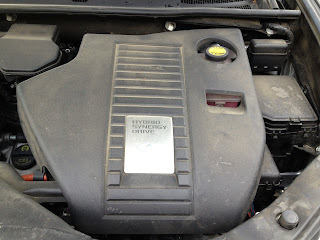 The last time that I had replaced a headlamp (in my Isuzu Trooper), the experience had caused me to question the intelligence of Japanese engineering. So, I headed down to Pep Boys where a helpful parts desk lady showed me which bulb I needed and took me over to the rack where they were displayed. What's going on with the NSA? What a week for a government entity who's initials not that long ago stood for "No Such Agency". 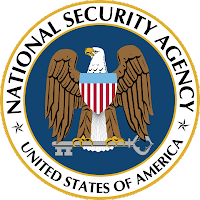 The National Security Agency (NSA) is a part of the Department of Defense, not a part of the Justice Department like the FBI, nor is it an independent agency like the CIA. As such, its purpose is military intelligence gathering, not law enforcement and not explicit spying. Recently it has gotten into hot water because of leaks from former Booz Allen contractor, Edward Snowden. On Friday, the Wall Street Journal reported Snowden claiming that US intelligence had been hacking Chinese computers since 2009. Well, I certainly hope they did!